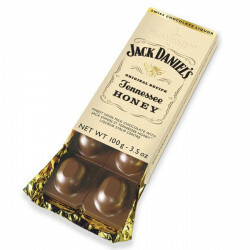 Swiss milk chocolate filled with Jack Daniel's Tennessee honey liqueur syrup. 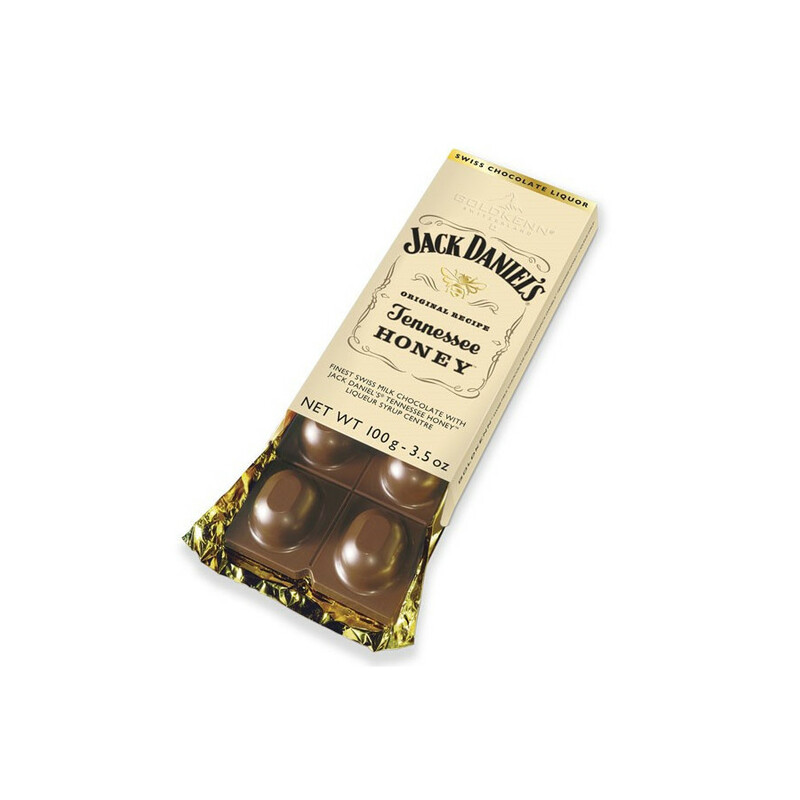 This chocolate bar is the result of a mix of Jack Daniel's Tennessee Honey syrup, with Swiss milk chocolate. Ingredients: sugar, cocoa mass, cocoa butter, Jack Daniel's Tennessee honey 9,5%, whole MILK powder, skimmed MILK, BUTTER fat, emulsifier (SOYA lecithin), natural vanilla extract. Contains milk and soya. May contains hazelnuts, almonds, pecan nuts, walnuts, cashew nuts, pistachio nuts, egg, gluten. Cocoa : 37% min in chocolate.